A spring walk in February made possible by some unseasonably warm weather. 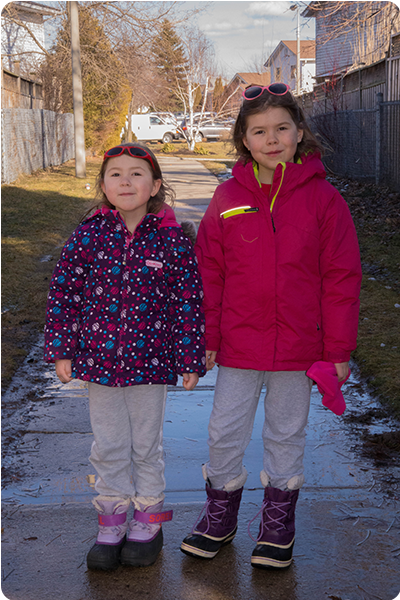 Claire stomped through every puddle and needed constant reminders to stay out of the mud while Bridget carefully considered her path and kept to the dry sidewalk. You girls: so much alike, yet so different.